Tuesday morning we will conclude our 2014-15 Chapel Series with a special celebration. This will be a worship service of music, dance, theatre, creative writing, and visual art and design. Below is the program for services at 9:35 and 11:00…….scroll down to see the participants and selections for each chapel. I hope you’ll join us in this wonderful capstone for our chapel series this year. Today Cspire and Belhaven announced a new partnership to bring Fiber Optic internet speeds to Belhaven this summer. We will be the first university in Mississippi to have this ultra high-speed service, and may be the first university in America to have fiber optics in every residence hall. 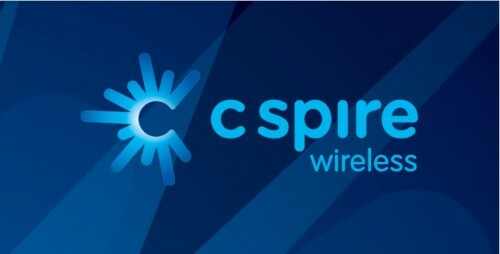 * Instead of our current 300 Mbps internet speed for the entire campus, with Cspire we will have 1,000 Mbps in EACH of our six residence halls. * Every residence hall room will be access point so the wireless signal strength will be much stronger. * We will have High Definition television available in every room (all students need to bring is their TV and HDMI cable). * Every residence hall room will have a DVR to record television – and in the University Village, each bedroom will have a remote DVR in addition. Cspire crews will soon begin trenching the campus to run fiber optic internet and television to all residence halls. Below is this exciting announcement from Cspire. Jackson, Mississippi (April 6, 2015) – Belhaven University has signed an agreement with C Spire to become the first college in Mississippi to offer students Gigabit Internet access and related SuperTM HD television service. 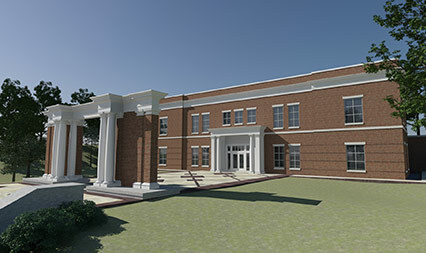 The agreement was announced Monday by university officials and C Spire representatives and will also provide wireless phones, voice over IP phone service and dedicated high-speed fiber optic Internet access to the 400 full-time faculty and administration on the 50-acre campus in northeast Jackson. All 700 residential Belhaven students living in the University’s six residence halls will receive the next generation services, which include 1 Gbps (Gigabit per second) broadband Internet access up to 6.5 times faster than the speediest broadband connections on most U.S. college campuses today and super HD TV service with dedicated DVRs in each residence hall room. A 2014 analysis by Valore Books, a college textbook reseller, and Testmy.net, a data speed testing service, of the top 100 colleges in the U.S. with the fastest Internet access placed Lamar State College in Port Arthur, Texas in the No. 1 spot with download speeds averaging 154.8 Mbps (Megabits per second) and upload speeds of 47.8 Mbps. In contrast, Belhaven students will have download and upload speeds of up to 1,000 Mbps. Faster Internet connections have grown in importance in recent years on college campuses across the nation. The average student now owns seven Internet-connected devices, including phones, computers, gaming consoles, streaming TV boxes, printers, tablets and e-readers and uses them over 125 hours each week, according to a 2014 nationwide online survey of 1,209 students between the ages of 18 and 34 by Crux Research and re:fuel agency, a New York-based marketing firm. Students have replaced cumbersome backpacks laden with heavy books and now are more likely to bring lightweight iPads, tablets or laptops to class, purchase e-textbooks, participate in Skype study groups or post their homework to online services such as Blackboard, according to Brian Caraway, senior vice president of Enterprise Markets for C Spire. In fact, Caraway said a 2014 study by Presta Electronics found that 73 percent of students need technology to study and over 70 percent use a computer or tablet to take notes. Belhaven’s move comes as C Spire and the city of Jackson continue to make steady progress in qualifying homeowners in more areas of Mississippi’s largest city and state capital for the next-generation suite of services and super-fast Internet technology infrastructure. Thus far, five of 13 areas – or fiberhoods – in the city have reached their pre-registration targets and are moving into the engineering and construction phases of the massive fiber optic infrastructure technology initiative. Commercial service is expected to be available later this year in most areas. C Spire is continuing to work with the city to provide free Gigabit Internet access at two municipal community centers to help Jackson residents learn more about the benefits of 100 times faster fiber-based broadband Internet access and related services. Belhaven is a private Christian liberal arts university that offers 27 undergraduate majors and adult and graduate degree programs to over 4,200 students at its main Jackson campus and at satellite campuses in Orlando, Houston, Memphis, Atlanta and Chattanooga. Belhaven University stands among select Christian colleges and universities and has been repeatedly named one of “America’s 100 Best College Buys.” The University offers 27 academic majors across a full spectrum of disciplines as well as a variety of graduate programs. In addition, Belhaven has achieved the distinction of being among only 30 universities nationally accredited in each of the major arts ¬ music, theatre, visual art and dance. All programs are taught from a Christian worldview perspective and are guided by the mission to prepare students academically and spiritually to serve Christ Jesus in their careers, in human relationships and in the world of ideas. Belhaven University serves over 4,200 students offering undergraduate and graduate degrees on its residential campus, an online degree program, and graduate and adult degree programs in Jackson, Memphis, Orlando, Houston, Chattanooga, and Atlanta. For more information about Belhaven University, visit www.belhaven.edu. See the news release below about the event at the White House today. This an exciting recognition for the strength of the Belhaven University School of Science and Mathematics. 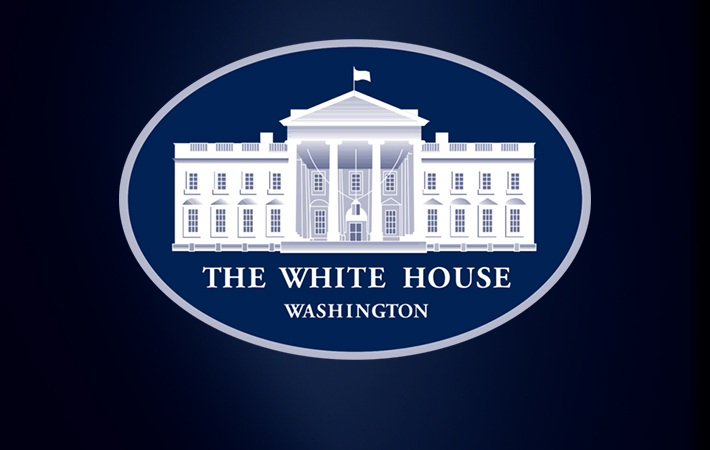 For more about this recognition or watch the event live, see this White House web page. JACKSON – Today, President Obama, the First Lady and Vice President Biden will recognize Belhaven University for its commitment to increase the number of college graduates in the fields of science, technology, engineering and mathematics (STEM). “America needs to become the leader in science and technology again and Belhaven has the ability to help achieve this national priority,” said Dr. Parrott. 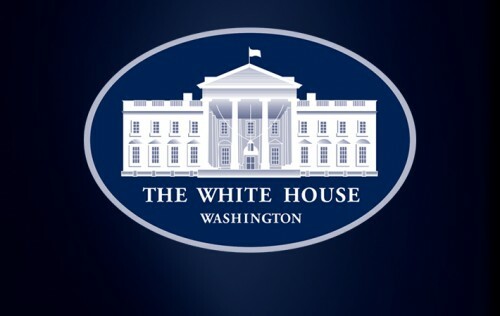 The White House invited Dr. Parrott and other university presidents being honored to take part in College Opportunity Day of Action where President Obama will announce new actions to help more students prepare for and graduate from college. Participants in the College Opportunity Day of Action were asked to commit to new action in one of four areas: building networks of colleges around promoting completion, creating K-16 partnerships around college readiness, investing in high school counselors as part of the First Lady’s Reach Higher initiative and increasing the number of college graduates in the fields of science, technology, engineering, and mathematics. President Obama will also announce new steps on how his Administration is helping to support colleges and universities, including announcing $10 million to help promote college completion and a $30 million AmeriCorps program that will improve low-income students’ access to college. Today’s event is the second College Opportunity Day of Action, and will include a progress report on the commitments made at the first day of action on January 14, 2014. Dr. Sandra Rasberry reflects on her years of teaching and administration in the School of Education of Belhaven University. If You’re Serious About Music . . .
You must watch this 5 1/2 minute video featuring our two outstanding graduates, Shelly Brown and Jocelyn Zhu, and Professor Song, who leads our strings program of the music department. In April we learned that both of these graduates had been accepted with top scholarships to two of the most prestigious Master degree violin programs in America. Jocelyn has chosen Julliard, where only .04% of violin applicants are accepted – she was also accepted to Peabody Institute at Johns Hopkins University, The Eastman School of Music at the University of Rochester, and the University of Michigan. She will be studying under Catherine Cho. Shellie has decided on Rice under Paul Kantor. He only accepts about two students each year, and is one of the highest-in-demand teachers in America. Hear them in their own words . 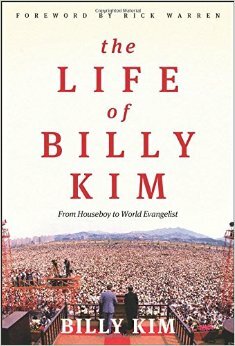 . . and what their faith in Christ means to them as elite violinists. Last week we received an OUTSTANDING evaluation from the Teacher Education Accreditation Committee that visited campus. They said we were a model teacher education programs in the state. Dr. Sandra Rasberry has been at the helm of our School of Education for 26 years. She is retiring at the end of this academic year, and this glowing accrediting report is a wonderful capstone to an outstanding career of service. Sandra started teaching at Belhaven in 1988, and has served as the Dean of The School of Education, since 2002. During her tenure at Belhaven, the program has grown to include three Master’s programs that are offered on four branch campuses. Scores of teachers have been prepared to be the very best because of Sandra’s leadership at Belhaven, and she leaves a legacy that will only be measured in eternity. Senior Jocelyn Zhu, and recent graduate Shellie Brown have been accepted with top scholarships to two of the most elite Master degree violin programs in America. While cheering for their success, we also applaud their strings professor, Song Xie, who has not only prepared them musically to complete at the highest levels in America, but also equipped them with the spiritual foundation to take on the extremely brutal competitiveness of top level music – and do it in a way that brings honor the the Lord. Jocelyn’s senior recital will be on Monday evening, April 21st, at 7:30 in our concert hall. I’d encourage you to come – admission is free. When you hear her play in the years to come, in some of the great concert halls of the world, the tickets will probably be very expensive! Ms. Myrna Gregory has worked in the field of sports and recreation ministry, including Lifeway Christian Resources and Upward Sports. As part of her responsibilities, she has worked in different areas of sports missions. In 2005, she taught an Introduction to Sports Ministry course as an adjunct faculty member at Belhaven University. In the area of volunteerism, she has served as a sports chaplain at the summer and the winter Olympics. She most recently served in her 7th Olympic Games as a member of the International Sports Chaplains (http://ischaplains.org/About.html). The purpose of the organization is “to communicate Christ’s love in the Olympic arena as they focus on sharing, loving, telling, and showing Jesus to the people assembled at the Olympic Games”. On next week as the Sochi Olympics 2014 draw to a close, Myrna will be sharing some of her experiences from the Sochi Olympics at the new Football and Sports Administration Building (Old Red Cross Building) on Riverside Drive. Wednesday, Feb. 26th at 11 a.m.
Thursday, Feb. 27th at 11 a.m. The Sports Administration Department is glad to have this unique opportunity to have Myrna to speak to our students as it is part of their vision to expand sports administration reach in the $400 billion dollar a year global sports industry through sports ministry opportunities, sports missions and the Olympic experience. For further information, you may contact, Sports Administration Department Administrative Coordinator, Megan Tait at mtait@belhaven.edu. Tonight and tomorrow night . . .
An evening of dance presentation aimed to bring inspiration and encouragement to the soul. This week and next week. . . Directed by faculty member Stewart Hawley, Choreography by Dance faculty member Laura Morton Music Direction by Andrew Craig. Based on the original book and concept by Peter Stone, the musical is a send-up of backstage murder mystery plots, set in 1959 Boston, Massachusetts and follows the fallout when the supremely untalented star of Robbin’ Hood of the Old West is murdered during her opening night curtain call. It is up to Lt. Frank Cioffi, a police detective who moonlights as a musical theater fan to save the show, solve the case, and maybe even find love before the show reopens, without getting killed himself.